Student rabbi Max Chaiken will become Congregation Kol Ami’s first full-time assistant rabbi. Chaiken’s appointment was announced Wednesday by Kol Ami’s board of trustees and Rabbi Denise Eger. 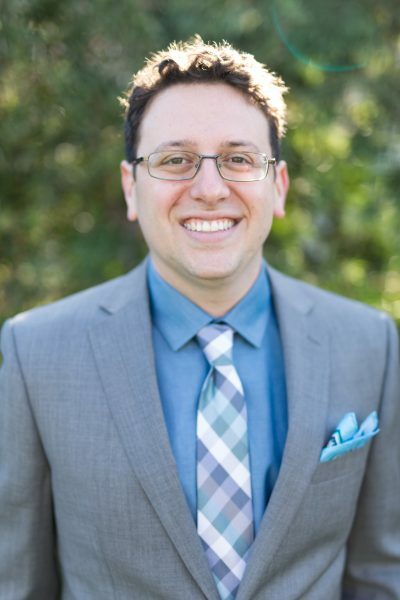 Chaiken has been the rabbinic intern at Kol Ami for the past two years and will be ordained by the Reform Jewish movement’s seminary, Hebrew Union College-Jewish Institute of Religion, on May 13 in Los Angeles. He will begin his full-time duties on June 29. Chaiken will be responsible for Shabbat music and worship and adult and family education. But the core of his efforts will be as an engagement and outreach specialist focusing on Congregation Kol Ami’s outreach efforts to young people in West Hollywood, Hollywood, Silver Lake and downtown Los Angeles. Kol Ami is celebrating its 26th anniversary in May. “I am delighted that Max will join our team as assistant rabbi. This will allow us to continue and strengthen the creative heart of our Temple,” said Rabbi Eger. Eger has been a national rabbinic voice and is the Immediate past president of the Central Conference of American Rabbis and is a noted LGBTQ and human rights activist. His rabbinic thesis, “Telling a New Story: A Model for Economic Ethics in Jewish Law,” combines his undergraduate academic interests with his passion for Jewish thought and philosophy. Chaiken participated in the AIPAC Leffell Fellowship, a program that brings seminary students from across denominational lines into dialogue and learning about Israel. Chaiken recently contributed to the anthology “The Fragile Dialogue: New Voices of Liberal Zionism” (CCAR Press, 2018). Chaiken is married to Rabbi Danny Shapiro, Jewish chaplain at the Claremont Colleges.